1. Grow on marginal land, unsuitable for food crops, with low water and other input requirements. 2. Revive marginal, unused land by improving soil quality. Learn more about both HDSR tree and Camelina through the overviews below. 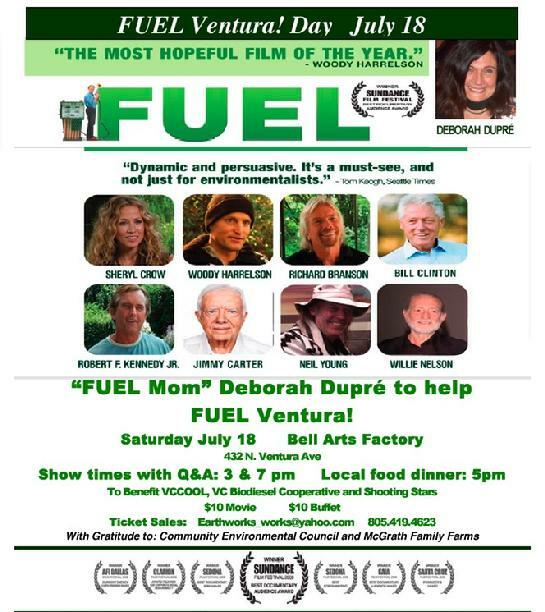 Then phone Deborah Dupre on (+1) 310.310.1997 for a complimentary consultation with her bio-energy associate who is happy to answer questions about these valuable opportunities to help ensure local, sustainable fuel production. This species' fast-growing, deep taproot can penetrate 40 feet or more, drawing nutrients, water, contaminants and heavy metals from subsoil to the surface feeding the plant. Its extensive mat-like lateral root system draws from upper soils in an area up to twice the size of the crown of the tree and 12-36 inches deep. IMPORTANT NOTE: Some HDSR species are known to be highly invasive, making them unsuitable for biomass production. The species and varieties chosen for industry, however, do not produce viable fruit/seeds, rendering them virtually sterile. 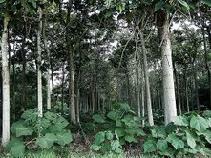 These trees have been widely used in lumber plantations where they have been demonstrated as completely non-invasive. Over 20 years, there has been intensive research and development related to the HDSR trees' ability to uptake nitrates, heavy metals, and land contaminants. University of Kentucky and University of Maryland published several papers on exceptional characteristics for mine site reclamation and soil stabilization. Various North American Universities have confirmed wood characteristics, growth properties and soil and climate preferences of this HDSR species. Genetically superior varieties we offer have been successfully proven viable energy crops, based on studies showing their effectiveness for producing Ethanol via Acid Hydrolysis, Thermochemical, Pyrolysis, and Gasification processes. This species provides high density of biomass per acre required for cellulosic biofuel production and other energy uses. This species can be grown on land not used for food production, eliminating the food versus fuel debate. Deborah Dupré AEPI's commitment to worldwide fossil fuel oil independence led it to its collaboration with the world leader in developing and producing the world's fastest growing biomass tree for an energy crop. Harvesting on an annual basis and then allowing the tree to re-grow from its own stump crates a truly sustainable biomass plantation. Once the trees are established, ongoing plantation maintenance is simple, including fertilization and irrigation (as needed, depending on natural rainfall and age of trees). Natural fertilizers (animal or human waste) can be used to decrease petroleum-based inputs to the plantation. High density of biomass produced per acre allows for many different uses for the biomass including local production of bio-power, biofuel, and other biochemical. For more information about how you can become a HDSR plantation owner or investor, email info@ecopeaceinternational.com or phone (+1) 310.310.1997 for a free consultation. Over 10-million road miles have already been grown in U.S. with plans to boost this production to 100 million gallons by 2012. U.S. Energy Bill signed at end of 2007 increases Renewable Fuels Standard (RFS) to 36 billion gallons by 2022. Airline demonstration flights using Camelina biofuel, and subsequent flights confirm the Camelina 2nd-generation biofuel's operational performance capabilities and commercial viability. 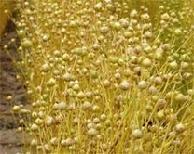 Camelina provides sustainable, low-input, biofuel feedstock that does not interfere with food production. Profitability - Provides high-quality oil for biodiesel production at a $0.o5/lb lower price than competing oil, while also compensating growers with a healthy return for their marginal land use. Equity investor return is in excess of 30% over 5 years. Scalability - 100 million gallons can be produced with only 1 million acres of Camelina production over the next 5 years; a very small percentage of suitable land available for production of the crop in the U.S., not to mention opportunities internationally. Flexibility - Makes an ideal oil for development of 2nd generation biofuel products including 'drop-in' transportation and aviation fuel. Camelina is the only a 90-day crop that can be planted in the fall or spring, allowing the potential for double-cropping with other crops in summer months. For more information on ways that you can become involved in this 2nd-generation biofuel opportunity and others, email info@ecopeaceinternational.com or phone our office on (+1)310.310.1997 to make an appointment for a complimentary consultation.